Another great ski season in the mountains of Bulgaria is finished! We had great time with plenty of snow on the slopes this winter. The season started on 14 December 2002 and finished on 5 May 2003. We had wonderful snow conditions in all resorts during the whole season, without no- or bad-snow days. We, at BulgariaSki.com did our best to keep you informed about the current conditions on the pistes, published hundred of photos, wrote plenty of reports on the skiing/snowboarding, visited the best bars and discos in the resorts and ... drunk loads of beer with all BulgariaSki friends. Now a hot summer is coming in Bulgaria. We will not update the info on the site as often as the winter, but will inform you about everything important that happens in the mountain resorts. Please visit our discussion board regularly, the discussion is on and the latest information will be published there. Mr. BulgariaSki will stay on-line for all your questions by email nic@bulgariaski.com or in the discussion board. Thanks, and have a nice summer! The resort of Bansko still enjoys great skiing in the morning hours, the snow cover is 110 cm and most pistes are open! However the snow is melting very fast in the rest of the Bulgarian ski resorts, and the pistes there are closing. The hot weather in Bulgaria is already here. 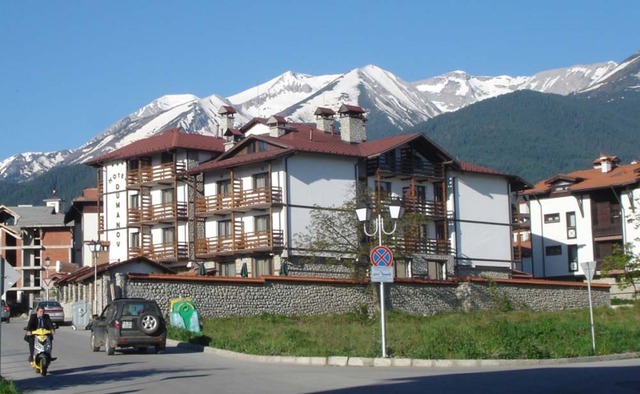 So, the ski lovers are advised to go to Bansko for some last days of skiing this season! It is snowing again in the mountains of Bulgaria. There are very few skiers in the resorts now, therefore the pistes of Borovets were not groomed past few days. The company operating the lifts in Borovets announced that they will bash them for the weekend (Fri, Sat, Sun) when more skiers are expected to come. In Pamporovo there are about 65 cm of snow, but all pistes and lifts are open. In Bansko there are about 130 cm, most pistes and slopes are open and working. The skiing is good in the morning, when it is colder, but after lunch it gets too warm and the snow becomes very soft. It has been snowing in Bulgaria last 3 days, today it is snowing heavily. There is fresh snow cover in all mountain resorts, in Borovets the total snow cover is 90 cm in Bansko 140 cm. This late April snow will provide another 2 or 3 weeks of good skiing. Read the detailed snow report here. 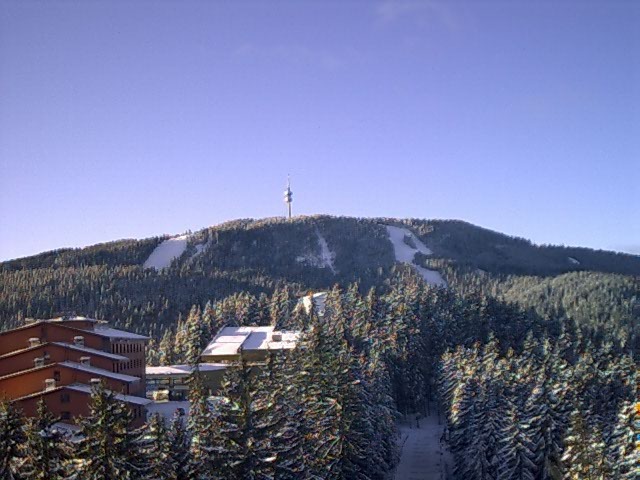 Great ski conditions in Borovets after the recent snowfall. After snowing for the last couple of days Borovets has new snow cover and improved skiing conditions in the resort. Most lifts and slopes are open and operating. Great late season skiing in Bansko! Mr. BulgariaSki spent 1 day of great skiing in Bansko. Took some great pictures for you. Mr. BulgariaSki: Great skiing in Borovets! 08 March 2003 Mr. BulgariaSki skied Borovets! 21 Feb 2003 Great skiing in Vitosha! 17 Feb 2003 Great skiing in Pamporovo! After the constant snow fall in Pamporovo over the last days, the resort has 140 cm of snow! All pistes are in perfect condition. Today the weather is cold and cloudy, the snow is crunching under the skis, it's great! What else can you do? Come to Pamporovo! 03 Feb 2003 Constant snowing in Bulgaria! After few days of non-stop snowfall, Bulgarian mountain resorts are offering great conditions for snowsports. Again Bansko has the biggest snow cover of 140 cm, Pamporovo 75 cm, Borovets 65 cm, Vitosha 120 cm! For updated snow cover report, please visit this page. It keeps on snowing...Now's the time to come to Bulgaria! 15 January 2003 Webcams and resort updates daily! 02 January 2002 Skiing and boarding in all Bulgarian resorts! 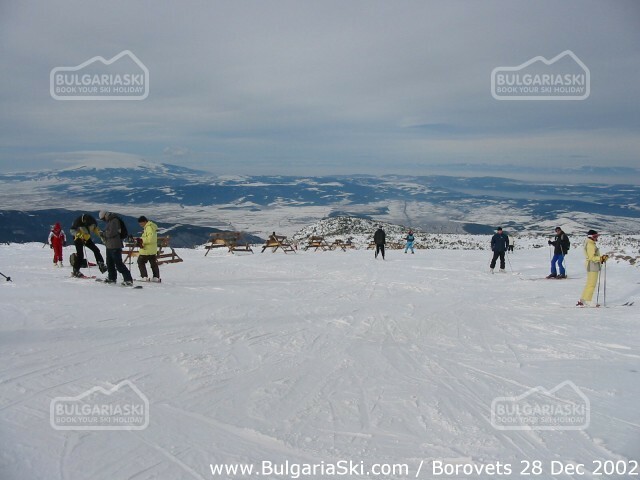 At the moment the main Bulgarian mountain resorts offer excellent snow and piste conditions. Skiing and boarding is possible since the official opening of the resorts (14-20 Dec 2002) for the new season 2002/2003. It is even better since the fresh snow that we had in the night of 31 Dec and the day of 1 Jan 2003! Another week of great skiing is on it's way! 12 January 2002 Big snow in Bulgaria! After the heavy snowfall last night, the snow conditions in all Bulgarian mountain resorts are excellent, providing great skiing and boarding on most slopes. 15 January 2002 Webcams and resort updates daily! Best deal 7=6 Отель "Думанов" Банско, Отель "Думанов" Бесплатные ночевки - 7=6, 14=12! Early booking - 20% Мария-Антоанета Резиденс Банско, Мария-Антоанета Резиденс - 20 % скидка до 30 сентября 2019; - 15 % скидка до 31 октября 2019; - 10 % скидка до 30 ноября 2019.